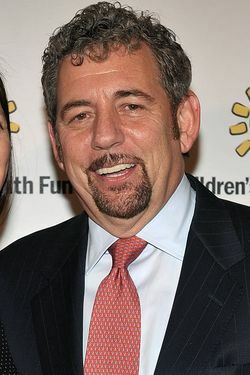 It has been more than five years since Jim Dolan gave an interview about the Knicks, and his last two appearances (announcing the Carmelo Anthony trade and the Mike D'Antoni resignation) ended with him shuffling off before reporters could pepper him with any of those annoying questions. But if Dolan thought Marc Berman and Frank Isola would be a problem, can you imagine how he'd fare in an open arena? Look at this video again. Someday, the Knicks are going to win a championship. It's extremely unlikely that this championship would ever occur under Dolan's watch, but — play along — imagine if it did. Even with the Knicks crowd soaking in their long-denied title, even with the place ablaze in a giddy bomb, there is absolutely no way that they wouldn't stop the minute he picked up the microphone to boo him with all their heart and might until he gave it to someone else. Dolan is often criticized for his lack of public appearances. But if we were him, we wouldn't leave our house either.